An eco-friendly Chelsea boot, handmade in Italy. The Bitflex Chelsea boot is one of the best kept secrets in men’s footwear. Handmade in Northern Italy by a family that's been making boots for six generations, these slip-on (SLIP-ON!) boots are eco-friendly, handsome as hell, and represent the best value on the market. It all starts with premium European leather that's aged for 30 days in an all-natural mixture of water, oak bark, and powdered mimosa. The leather is then softened with all-natural ingredients to produce a suede leather that is supple and environmentally friendly. The boot is finished with 100% natural rubber soles that feel like walking on a cloud. We love these boots and think you will too. But don't take our word for it. 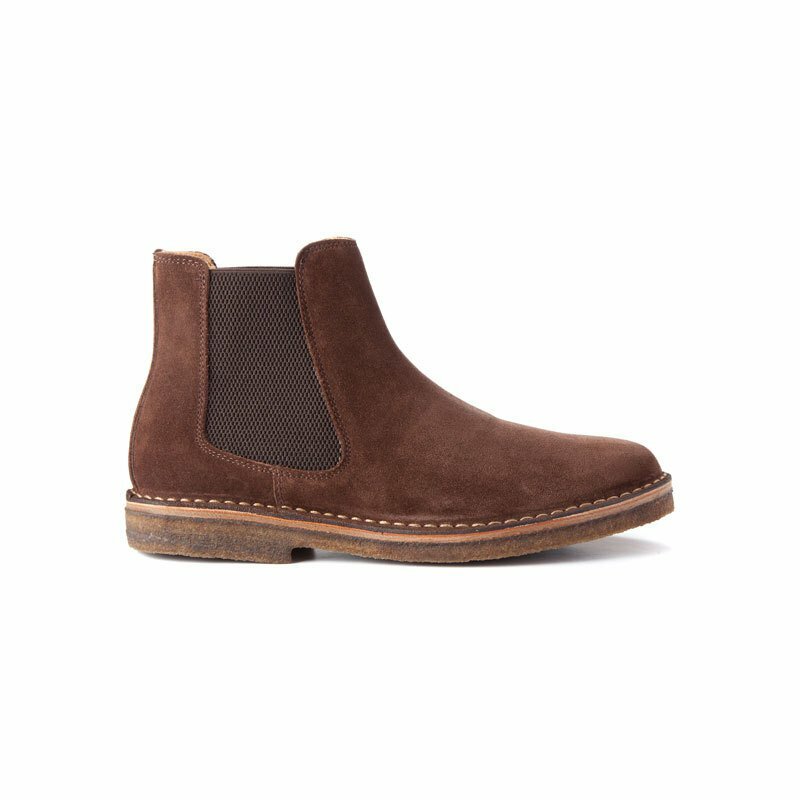 As the gents at GQ Magazine recently said, "Just about every stylish guy we know right now is rocking a pair of slip-on suede Chelsea boots. They're rock 'n' roll and kind of elegant at the same time, a mix that no other shoe in your footwear arsenal would be able to claim. For our money—and well, yours—a pair in a neutral suede is going to get you the most style mileage."